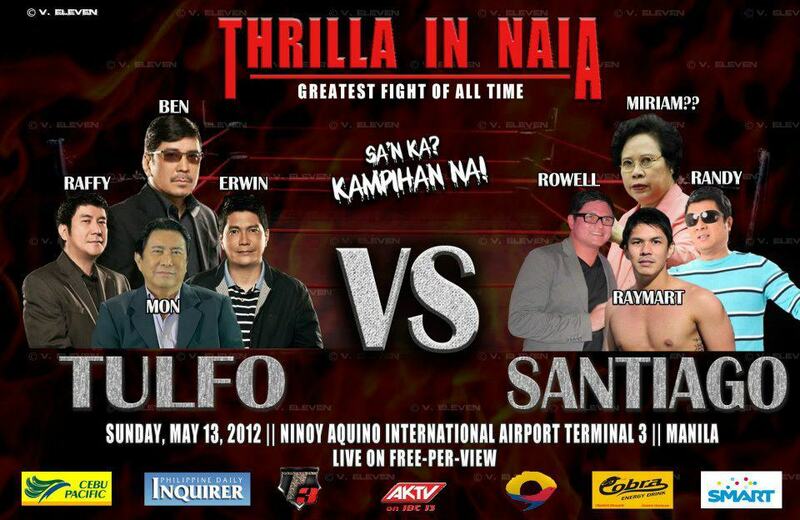 The photo entitled ‘Thrilla in NAIA: Greatest Fight of all Time”. 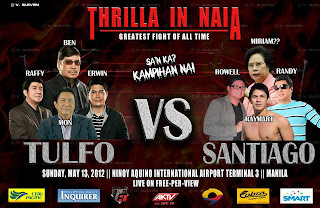 Photos includes Tulfo Brothers such as Raffy, Ben, Erwin and Mon; while on the other side are Santiago’s including Raymat, Rowell, Randy, with a question mark of Honorable Senator Miriam Santiago. The picture is being uploaded and shared through Facebook by Pag may bagyo College lang may klase anong tingin niyo samin WaterProof.